If you agree that modern buildings seem to have lost a certain style over the last 30 years or so, we’d tend to agree with you. This is partially due to the way that traditional roofing tiles have limited the pitch of modern roof angles.Most of these roof structures need to be angled at a minimum of 35 degrees and this drastically affects the way that modern houses are shaped. The good news is that Britmet are on the case and thanks to modern technology they are able to produce roof tiles with just a 5 degrees pitch. 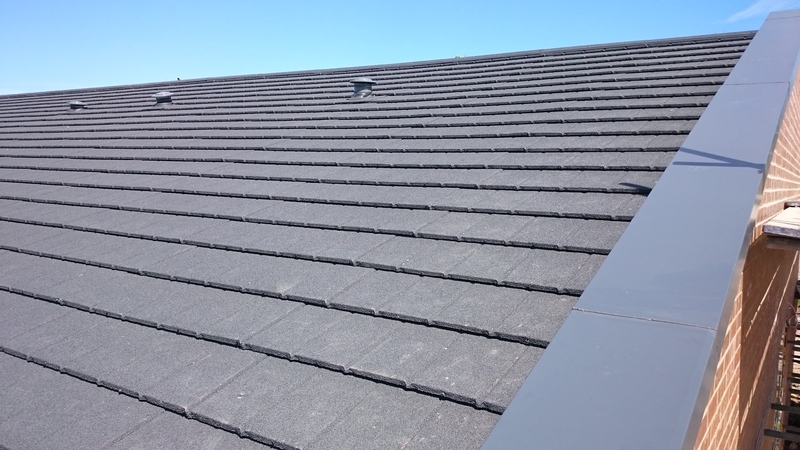 One of the lesser known advantages of using a low pitch roof instead of traditional tiles is the reduced cost. Just think about the fact that your roof will be using far less materials and you’ll soon realise why these tiles are becoming so popular right now. The installation time will also be less time consuming and that will also reduce the cost of the roof installation effectively. In fact, a low pitch roof can be installed up to eight times faster than a traditional roof. Once you have completed your low pitch roof installation, your tiles will be covered by a 40 year guarantee that includes our lovely British weather conditions. But if any maintenance is required, thanks to the 5 degree pitch, it is far easier and safer for workmen to gain access to any part of the roofing structure. Britmet’s low pitch roof tiles can be utilised for some very artistic roofing structure designs that look just as good as they can when compared to the more traditional constructions. Why not take advantage of this fact to make your own home look both individual and functional? Your architect will have a field day when he or she realises the level of freedom that a 5 degree pitched roof can offer. We are confident that Britmet’s 5 degree pitch roof tiles are the ones that you will want and when you combine this with the huge 40 year guarantee, you will start to see why we outsell and outperform our rivals in every single way.Speak to Britmet about our low pitch roof options and start looking forward to a more cost effective roofing structure that also looks fanatastic.